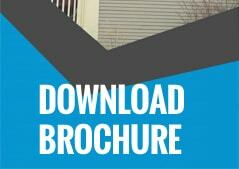 Are you looking to cut costs around the home? While replacing your windows may only seem like an expensive, it is the best way to cut down on your long-term heating and cooling bills. However, what kind of windows should you get and who can you trust to install them correctly? With a growing number of clients for vinyl window replacement, Burr Ridge IL residents are turning to Best Windows Inc.
Before we get into what Best Windows Inc. can do for you, lets take a moment to examine the benefits of replacing your old windows with new vinyl windows. The chief benefit is one of energy savings. Vinyl windows are significantly better at keeping your heating/cooling inside your home, leading to less leaking and as a result higher energy bills. There is also the matter of noise reduction and less condensation that make vinyl windows so popular. When combined with their easy tilt-in cleaning, their child resistant safety locks, their maintenance free standard, and the increased value they bring to your home, it is no wonder they are so popular. Having vinyl windows is one thing, and having your vinyl windows installed correctly is quite another. In order to make your windows work to their fullest, you will need to have a trained team installing them.Here at Best Windows Inc., we have countless years experience removing old windows and installing new ones. With a great deal of knowledge gained through experience, we can quickly troubleshoot any problems that can come up, guaranteeing for you the highest level of quality installation. Specializing in window and patio door installation, we know the ins and outs of how to run a successful windows business. A central tenant of our philosophy is our relationship to our clients. 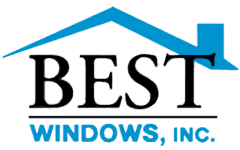 A dependable, hassle-free, high quality operation, Best Windows Inc. will work with you from beginning to end, ensuring that when we leave, you are fully satisfied. That is why we take pride in our numerous recognitions, as well as our top-level customer service, product quality, warranty, and delivery time. If you are interested in learning more or would like to schedule an appointment to meet and discuss you needs, then please do not hesitate to contact us at (708) 204-2446. In addition, you can fill out a form on our website and we can get back to you via e-mail. You may also visit our website Best Windows for more information about vinyl window replacement Burr Ridge IL.